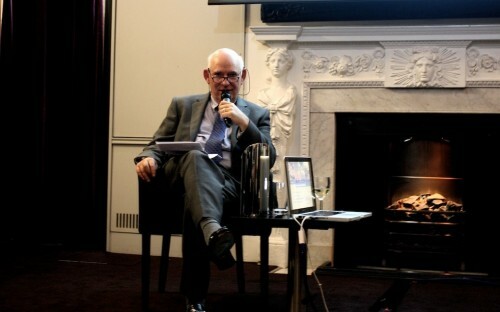 In Pictures: BusinessBecause event at the Royal Institution in central London, with top Asian b-schools CEIBS, HKUST, ISB and Nanyang - and Former ICAP COO David Gelber. BusinessBecause held an event on Tuesday night to promote MBA programmes and career opportunities in Asia. Four of the region's top business schools - China Europe International Business School, Nanyang Business School, the Indian School of Business and Hong Kong University of Science and Technology - participated. To find out why an MBA will give your career a competetive advantage, click here. Former ICAP COO David Gelber shared his insights from running a financial markets business across Asia. Read the full article here.